In a political career that began in 1985, Olivia Chow has been one of Canada’s most effective and well-known public figures, serving in municipal politics in Toronto and on the national stage as a Member of Parliament. Olivia was born in Hong Kong and moved to Toronto with her parents when she was 13. She studied philosophy and art at university and has worked as a university professor, an ESL teacher, counselor for new immigrants, and a sculptor. 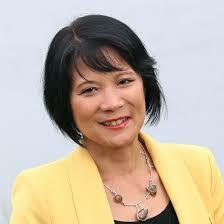 In 1991, Olivia became the first Asian-born woman elected as a Metro Toronto Councillor. She was re-elected to city council five times, serving with distinction for 14 years. While at City Hall, Olivia served as Chair of the Community Services Committee and Vice Chair of the Toronto Transit Commission (TTC), among other senior responsibilities. Olivia gained national recognition for her innovative approaches to programs for children and youth as Toronto’s first Children and Youth Advocate. In this capacity, she enhanced child nutrition programs, free dental care for children living in poverty, expanded pre- and post-natal services, and delivered an award-winning approach to Early Learning and Child Care (First Duty). First elected to Parliament in 2006, Olivia won re-election twice. In Parliament, her Early Learning and Child Care Bill laid the legislative foundation for a universal, high quality, affordable and non-profit national childcare program. She also pushed for faster family reunification and giving a chance for immigrants to succeed through recognition of foreign credentials and employment initiatives. Olivia was the Official Opposition Transport and Infrastructure Critic. Her bill on a National Public Transit Strategy was widely celebrated by mayors and municipalities from coast to coast to coast. Aside from her relentless work for a long-term and predictable infrastructure funding plan, Olivia also created a roadmap for better rail and air safety. Olivia was successful in working with the government in making a law to crack down on crooked immigration consultants. Her bill to ensure small businesses owners are not punished when they defend their property was borrowed by the government and became law. Throughout her career, Olivia has been at the forefront, working for progress for all. She has reached across party lines and travelled across the country, forging alliances with municipal and provincial leaders, business and advocacy groups. Outside the political sphere, Olivia is known as a tireless spokesperson, fundraiser and champion of charities such as the Canadian Cancer Society and related charities, Centre for Victims of Torture, Asian Community AIDS Service and Culture Link. Olivia married Jack Layton in 1988, and together they forged one of Canada’s most remarkable political partnerships, sharing a passion for life and a commitment to change. Jack became leader of the New Democratic Party and Canada’s Leader of the Opposition in Parliament, before he died of cancer in 2011. Since his passing, Olivia has continued the quest to make Toronto a better city and Canada a better country for all. In 2014, Olivia’s best-selling memoir, My Journey, was published.